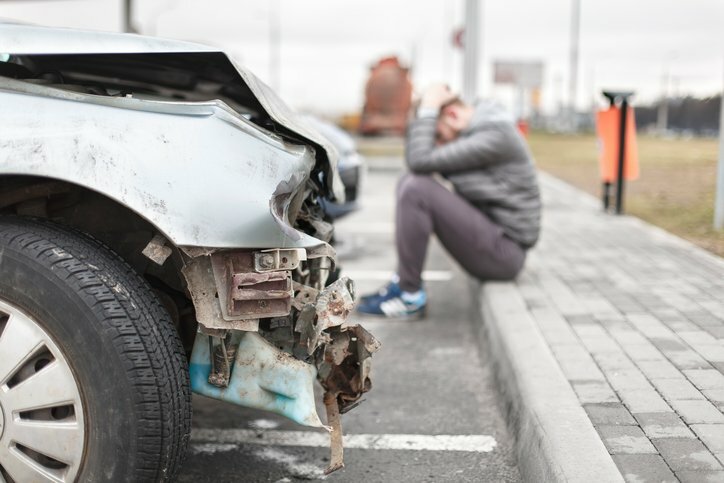 Motor vehicle accidents are stressful and traumatic experiences for everyone involved, and those who suffer injuries as a result are often unsure of what help is available. If you've been hurt on the roads, read on for a step-by-step guide to help you determine whether you are entitled to make a claim for compensation, how to do so, and who to contact for help. What is a green slip claim? A green slip is an insurance policy you must hold in order to register a vehicle in New South Wales. It provides compensation for people injured in motor vehicle accidents, regardless of where the accident occurred or who was at fault. Under the green slip policy, if you are injured in a motor vehicle accident that was not your fault, you are entitled to a lump sum award of compensation. You will also be reimbursed for all reasonable expenses incurred throughout the duration of your claim. This is the case even if the vehicle at fault was unregistered or unidentifiable. If you were at fault, your green slip may still entitle you to limited cover, including costs of treatment and loss of income up to $5000. Any domestic help or support you may require. The amount of compensation you are entitled to receive will depend on the severity of your injuries, the nature of the collision, your employment, and the treatment you require. Directly after your accident - Following the accident, it is best to collect as much information as possible. This includes the other driver's personal, registration and insurance details, the name and contact information of any witnesses, and any photos of the damage and/or your injuries. Police are required to attend in the event of an injury, so be sure to call the Police Assistance Line if no one is present. Soon after your accident - Regardless of the severity of your injuries, you should visit your doctor as soon as possible and explain to them what has happened. You will need a valid medical certificate to support your claim. It is also important to keep any medical records you receive, including medical certificates, receipts or medications. If you are unable to work, you should also contact your employer. If you need time off or special duties because of your injury, it is best to get this in writing through email, text message or a hand-written note. 28 days later - If you are able to fill out an Accident Notification Form within 28 days of the accident, you may be immediately entitled to $5000 for treatment expenses and loss of income, regardless of who was at fault. Within six months - In order for your green slip claim to be successful, you need to lodge a Motor Accident Personal Injury Claim Form within six months of the accident. It is best to seek legal guidance with this to ensure you receive the full range of benefits you are entitled to. Three years after the accident - Sometimes to receive compensation, certain legal proceedings will need to be commenced within three years from the date of your injury, but this time-frame can be shorter. Most claims take at least 18 months to resolve, so starting your claim early means you can receive the compensation and treatment you are entitled to, and get back on your feet as soon as possible. Shine Lawyers has been helping people get back on their feet for over 40 years, and have an outstanding record of legal success and customer satisfaction. We offer our services on a 'No Win, No Fee' basis, meaning you will only pay legal costs if your claim is successful. If you have been in a motor vehicle accident and think you may be entitled to compensation, contact the experts at Shine Lawyers either online, by phone or by visiting your local branch. Written by Shine Lawyers on May 8, 2017. Last modified: April 18, 2019.